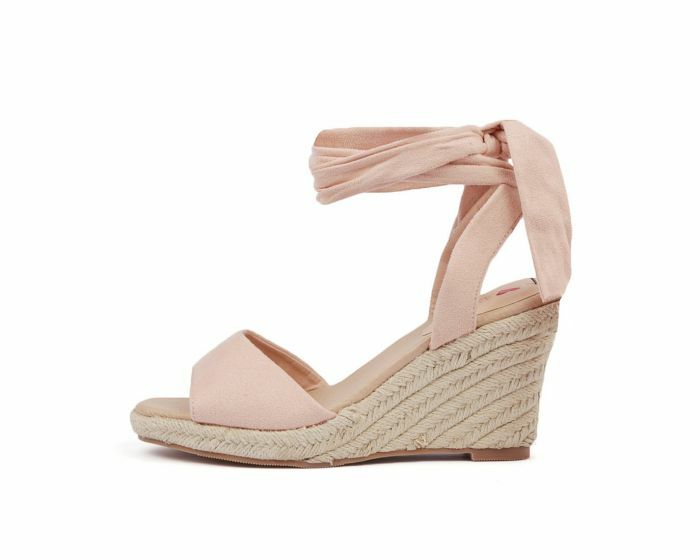 Treat your feet to this sweet summer wedge! Comprised of soft-touch microsuede and a jute rope sole, this design will have you beach ready in no time! Wrap the straps around your ankle and fasten them in a bow for a cute and feminine finish.